The photographer of this horse image is Nicole Heitzman. 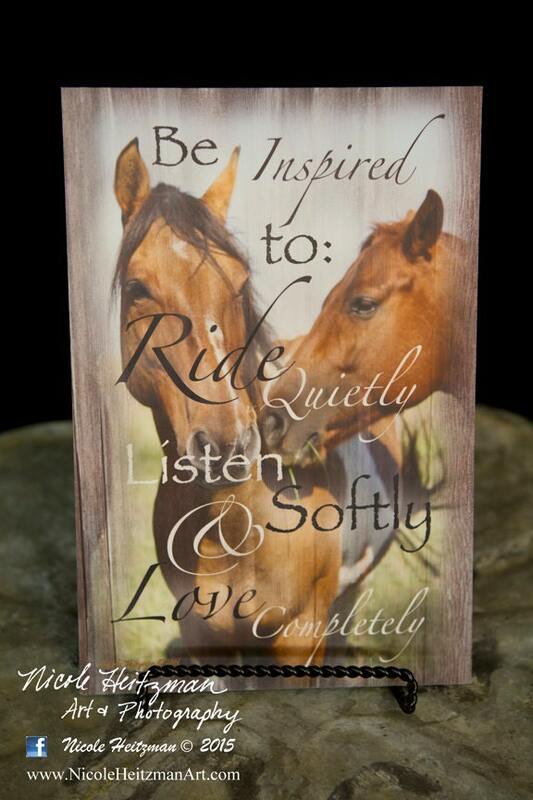 These horses were photographed in southeastern South Dakota on a beautiful summer day. The image is 8" wide by 12" high and is mounted to masonite. 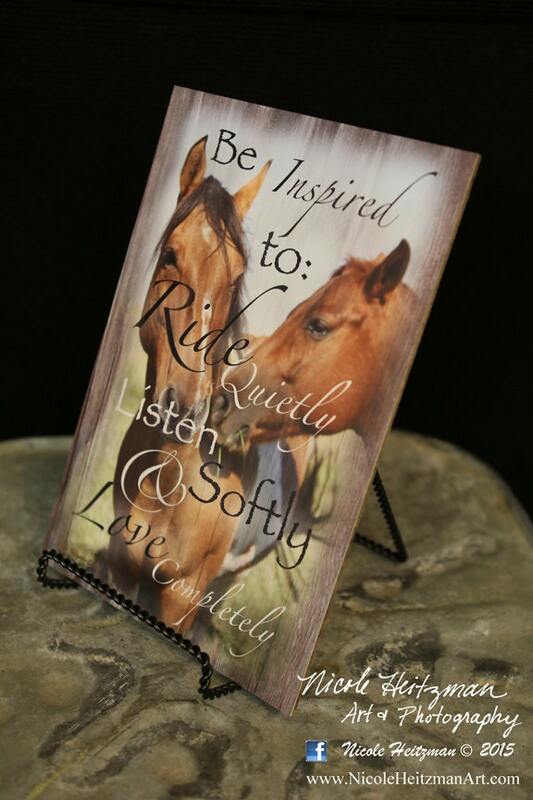 The quote on the image says "Be Inspired to: Ride Quietly, Listen Softly, & Love Completely."